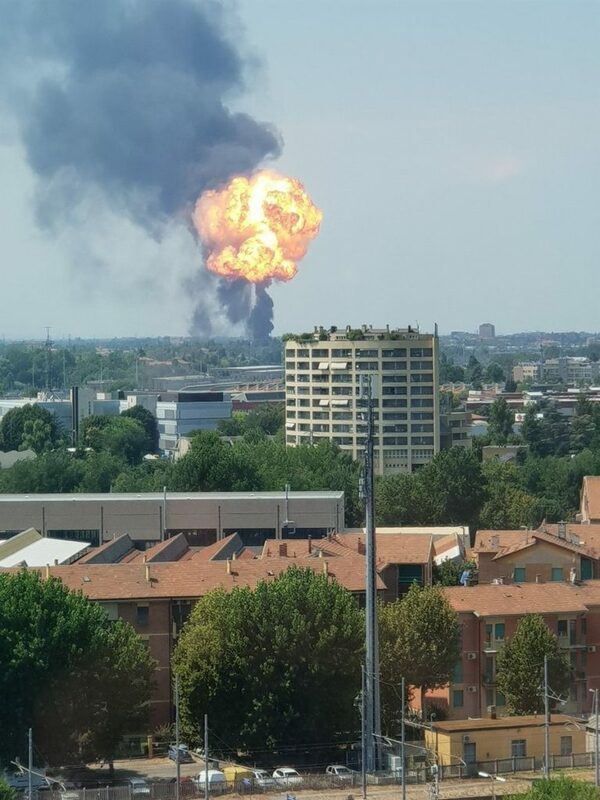 Two people have died and at least 55 were injured following an enormous explosion on the highway close to Bologna Airport that sent a massive fireball into the sky after a tanker blew-up on the city’s bypass today. The explosion was heard just before 2pm in the Borgo Panigale area, on the outskirts of the city. At least 14 of the injured people are serious condition. The blast happened after a truck carrying flammable liquids was involved in a crash with other vehicles. The police shared video footage showing that a large section of the road collapsed following the incident. The police warned of impaired vision in the vicinity of the fire as plumes of smoke spill into the surrounding area. Several roads have been closed.